Investigation of diamonds and their mineral inclusions by crystallographic methods in order to determine the depth of diamond formation and to understand the growth relationships between diamond and inclusions. 1999: Degree in Geological Sciences at University of Torino, Italy. 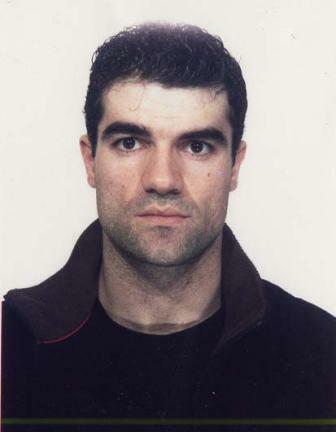 2000 - 2003: Ph.D. in Mineralogy and Crystallography at University of Modena and Reggio Emilia, Italy. 2002: Marie Curie Host Fellowship for Ph.D. students at Bayerisches Geoinstitut, Germany. 2004 - 2005: Post-doc position “Alexander von Humboldt Research Fellowship” at Bayerisches Geoinstitut, Germany. 2005: Post-doc position at Virginia Polytechnic Institute and State University, (USA). 2006 - 2010: Research position in Mineralogy at University of Padova, Italy. 2010 - 2015: Associate Professor position in Mineralogy at University of Padova, Italy. 2013 - 2018: “European Research Council Starting Grant 2012, IDEAS”; title: “Inclusions in Diamonds: Messengers from the Deep Earth”. Total fund: € 1,423,000 (INDIMEDEA; code: 307322). 2013 - 2017: Secretary for the section “Mineral Physics” of EGU (Geochemistry, Mineralogy, Petrology and Volcanology). 2014 - 2017: Member of the executive board of the Società Italiana di Mineralogia e Petrologia. 2014 - 2017: Member of the executive board of Elements magazine. 2015 al 2017: Associate Editor of the magazine Frontiers in Earth Sciences. 2015-2017: Associate Editor of the magazine European Journal of Mineralogy. 2015 - 2018: Director of the Ph.D. Doctorate School in Earth Sciences at University of Padova. 2015 - present: Permanent Full Professor position in Mineralogy at University of Padova. 2016 - present: Associate Editor of the magazine American Mineralogist. 2017 – present: Vice Head of Department of Geosciences at University of Padova, Italy. 2017 – present: member of the Executive Board of the Scuola Galileiana di Studi Superiori, University of Padova. 2017 – present: Member of the committee for the International Ranking of University of Padova. 2019 – 2021: Supervisor of a Marie Curie Post-doc position (call: H2020-MSCA-IF-2017; title: Sulphide INclusions in DIAmonds: A Window into The Earth’s Interior Through Time; acronym SINDIA; total fund assigned: 168,000 €). -	Analytical Techniques in Earth Sciences (Geological Sciences). -	Crystallography and Mineral Physics (Geology and Technical Geology). -	2003: Prize for “Ph.D. thesis” awarded by the Società Italiana di Mineralogia e Petrologia. -	2010: “Medal for Excellence in Research” awarded by the European Mineralogical Union. -	2011: Prize “Mario Nardelli” awarded by the Associazione Italiana di Cristallografia. - 2016: Prize "MARIA TERESA MESSORI RONCAGLIA E EUGENIO MARI" awarded by the Accademia Nazionale dei Lincei in the presence of the President of the Italian Republic, Mr. Sergio Mattarella. Reviewer for 37 peer-review international journals.